When Nextdoor came on the scene it arrived as an awkward “tweener” social media site that seemed to be a replacement for home owner association websites and now has grown into full fledged platform. Because of that I wanted to bring you the Nextdoor Guide For Businesses. Hopefully, we’ve seen enough of in the past few years that 2 things are true for businesses. Job security is in taking care of friends and family (Referred to as “mets” in the Millionaire Real Estate Agent). That’s why today we’re talking about Nextdoor. When you approach Nextdoor go in it knowing you’ll going to have to be an ambassador or mayor. This mindset will help you move forward. The Nextdoor Login experience sets you up immediately for something different. What do you mean I have to verify my address? Just like most good local directories, Nextdoor requires you to verify your address (and your business phone number). Once you set up your profile notice what you can do. My recommendation is to make this profile as “human” as you can and less “salesy” but not totally without mentioning that you are a business owner. With social media, people love PASSION, they don’t love salesly. Find the balance and post without worry. The first thing you’ll notice is the feed. Your feed will tell you how active your area is or not. Look at your feed as an opportunity to be an ambassador for your neighborhood (without the hassle of joining your HOA). The second thing you should look at is “RECOMMENDED.” Go ahead and start to look for your company. If you set up a Google My business page to go after Local SEO then you’ll likely be there. Go ahead and recommend yourself, it’ll be the first one you likely receive. I know some may frown on this advice (it’s actually against Nextdoor’s TOS) but make it clear that you’re “liking yourself”. – the reason you are doing this is not to give yourself a recommendation, it’s to help you find yourself later. Being recommended is a lot like a referral or a link from another website. Nextdoor does a good job of trying to keep you where you belong and not allow you into the noise of all the other neighborhoods. To understand what I’m talking about, take a look at any of they “city name” yardsale groups on facebook. Inevitably, you’ll get people posting on there that have no business being there. This is great if you’re a person who loves their neighborhood, but not so good for your business. So by getting recommended by as many people as possible you open your business up to these networks. Next You’ll want to look for the “claim your business” button and claim your business. It will look through the businesses that are listed and you want to look for the one that you recommended. This is the whole reason you liked yourself. In my case, I had multiple businesses pop up and by recommending myself it was much easier. I hate that this is against TOS but it was the easiest way for me to find myself. This is important because now you’ll likely get access to a neighborhood near your office and the one in your neighborhood. Immediately, I’d call your top 5 clients and ask for recommendations on here, particularly in neighborhoods you want to get business. The real opportunity is getting the recommendations from your clients in other areas which opens up your business to new opportunities, quite literally. With only 2 recommendations I cover 92 neighborhoods. Nextdoor is quickly becoming another site that you want to get reviews on. Making online reputation management important and more complicated. 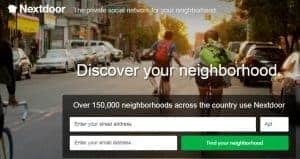 You can invite your neighbors to join Nextdoor. Everyone you invite (varying amounts depending on how much you actually invite) gets a post card with your name on it. If you’re a real estate agent this could be good name recognition. You have the ability to go “socialize” outside your immediate neighborhood. If you live in a rural area this might not be a good thing but if you live in a cluster of neighborhoods where your customers live, it’s a great way to interact. Unlike facebook you don’t have to be friends to communicate. Hold an open house if you’re a realtor or throw a seminar. My rule of thumb is I ask, “does this add value to people who attend?” If so, why not create an event and invite your neighbors! Home – takes you to the main feed. (Could include other neighborhoods). 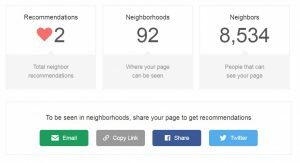 Neighborhood – Takes you to the subsection of the neighborhood feed. Map – Shows you what your neighborhood boundaries are. Leads, have the options of including or asking to change these. Recommendations – where you go to make recommendations for businesses or look for recommended businesses. Classifieds – for the most part this looks just like the yardsale groups on facebook, but you do occassionally see someone promoting their services. Free Items – Stuff you don’t want. Events – Ideally this is used to promote neighborhood events like a year end party, but you could also promote a seminar or something that your business is doing. Real Estate – See real estate around the area. This is a new advertising option for real estate agents. Crime & Safety – A list of stuff going on. Kind of like a neighborhood watch forum. Lost & Found – Ever see someone post on facebook that they lost their dog? This is just like that for your neighbors. Documents – Documents for the HOA or for the savvy business owner, your local newsletter. General – Catch All. When you don’t know where to post something, general is it. Pet Directory – Pet Lovers unite and list their animals. Might be the most brilliant “growth hack” I’ve seen on social media. Neighbors – You get access to your neighbors with options to message them. No, you don’t have to be friends. Don’t Abuse. Nearby Leads – These are people who got onto the platform first and then agreed to help foster the growth. Public Agencies – List of places like the police or library. Groups – Got a bunco group or a fantasy football league you want to manage, you could do it here. A little return to our roots of giving you digital marketing tactics that you can use today. 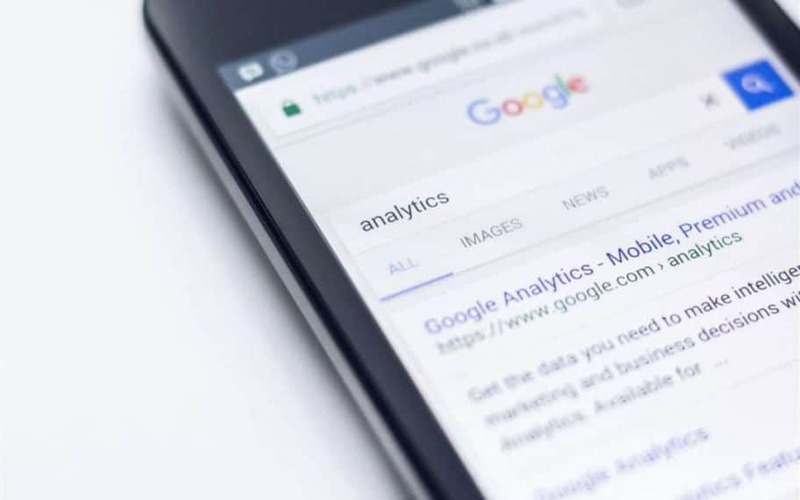 We cover 3 Simple Ways to Increase Your Traffic From Search Engines with completely free tools that you should be using already! This is a full episode but I’ve tried to make it very applicable, so let’s dive in! Have you ever been searching for something and noticed that some of the results have Google 5 star ratings or reviews listed? 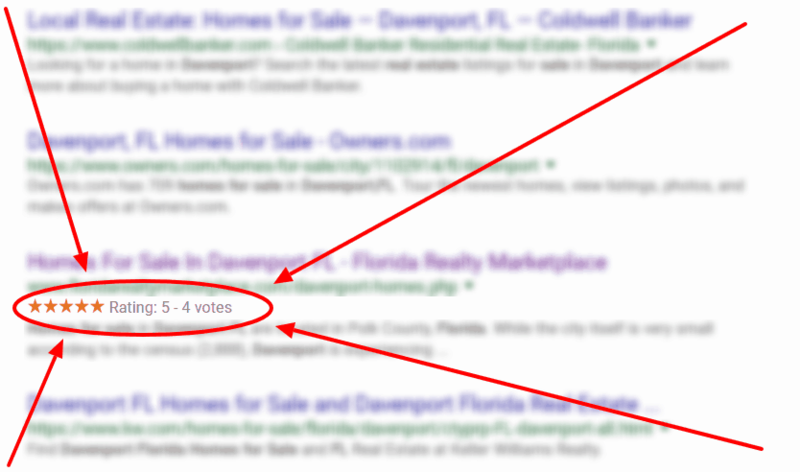 Today we dive into just how to get those stars to pop up for your website when so that when visitors search they will want to click on your results (because of the great reviews). Last week we answered “How Much Does Digital Marketing Cost?” and uncovered that there are a ton of questions about Digital Marketing, like “What is Digital Marketing anyway?” In this episode, we cover the most common questions around the sometimes nebulas term of Digital Marketing. We’ll answer what a digital marketing campaign is, what types of careers are in Digital Marketing and why it’s important to your future as a business owner! If you’ve been listing to the 4rd Marketing Podcast for any length of time you know that I love to talk about SEO (Search Engine Optimization). 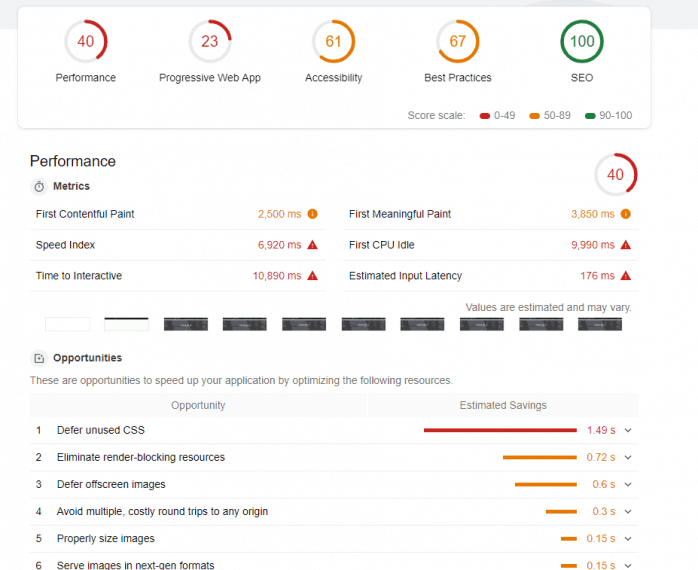 It’s a topic that goes beyond understanding Title and meta-tags. I think SEO should be applied to every aspect of your marketing. In today’s episode we’ll dive into what SEO is in it’s simplest form and for those action oriented listeners, we’ll cover how to rank from a 30,000 foot view. We’ve covered how to make great content for almost a full year but haven’t spent a lot of time covering where and how to share your content. Today we look at 11 places you can share your content to grow your audience and traffic. Some of these places are brand new, while others are some you’ve heard before (if you listen to our podcast! ).